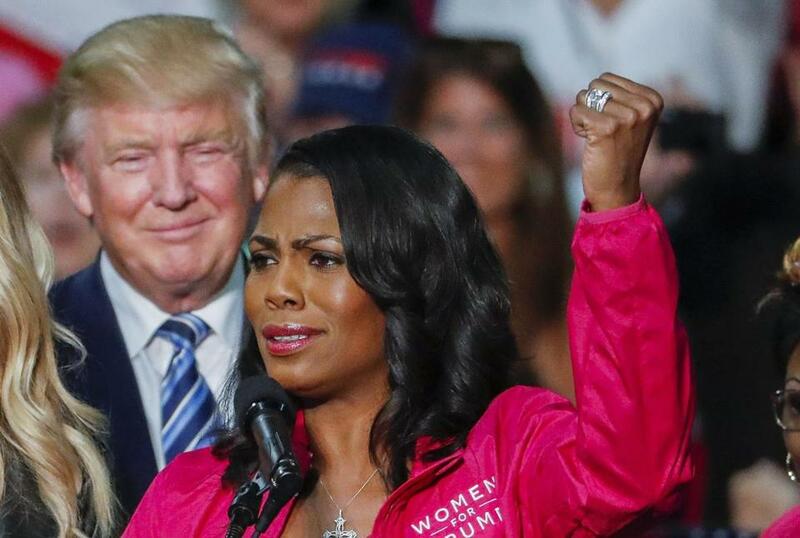 Then-presidential nominee Donald Trump campaigned with Omarosa Manigault Newman in 2016. TIME WAS SHORT — and the swamp water was rising. The Great Trumpkin didn’t just see it, he felt it. It had just crested the top of his elevator shoes. And this thing with Omarosa! She had turned on him like one of the hosts in “Westworld” who had suddenly woken up to reality. Why, she was even saying he was a racist. Imagine! But then, for reasons that were beyond him, they said that about anyone and everyone who reflexively assumed that members of other races were less intelligent and more prone to committing crimes. As far as he was concerned, that criticism was just so much dog bites man. Speaking of which, it was time to launch another Twitter attack on Omarosa, because that’s what presidents do. He wanted to double-down on calling her not smart, but he’d said similar things about several other African-Americans recently. No one would care if he called her a dog, though. Well, none of his tried-and-true supporters. Of course, dogs were loyal. Not Omarosa. To think he had once liked her because she said great things about him! Her only kind words these days were that Trumpland was a cult. And frankly, he wasn’t even sure she’d meant that in a nice way. Still, she was right. Which was why the Great Trumpkin loved to do those campaign-style rallies: to reconnect with the cult members, those dear, loyal, credulous Little Trumpkins. Trump vowed to fight for American workers and bring back jobs. 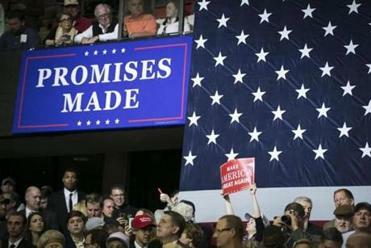 But it’s clear that his promises were just talk. He hadn’t delivered better, cheaper health care. The budget deficit was headed up, not down. His let-the-states-pay infrastructure “plan” had gone nowhere. And Mexico wasn’t, of course, paying for a wall on the southern border. And still they loved him! And he loved them in return, for their belief in him, for their . . . gullibility. Not that he’d ever put things quite that baldly. Not again, anyway. As someone — Samuel Butler, Jim Mattis said it was — had put it: “All truth is not to be told at all times.” Butler was right about that. But that didn’t mean the Great Trumpkin agreed with everything the man thought. He’d also said, “The best liar is he who makes the smallest amount of lying go the longest way.” Balderdash! Why confine oneself to a little lie when you could tell a whopper whenever you wanted, and have your base believe you? Which was just another reason he loved the Little Trumpkins! Still, the Great Trumpkin was worried about the Russia stuff. Michael Cohen, his former fixer, was now saying that Trump had known in advance about the June 2016 meeting that his son Donald Jr. had set up with Kremlin-linked Russians. And now former campaign chairman Paul Manafort, one of the meeting attendees, was on trial for bank and tax fraud. If convicted — and facing years in prison — who knew what beans he’d spill? If only he could press into service one of his ready-made dismissals of former aides who had been indicted or copped a plea. But “Don Jr. was only my son for a very short period of time” just wouldn’t cut it. Not even with Little Trumpkins. He could certainly say that Don Jr. was “not very bright” or “dumb” without anyone frowning in disbelief. But then people might snicker that the apple hadn’t fallen far from the tree. The Great Trumpkin felt something. He looked down — and shivered. The swamp water had now climbed above his ankles.